Mack Trucks is making shock absorbers standard on factory-installed auxiliary axles for its Mack Granite models to help reduce tire wear and improve driver comfort. By absorbing and helping reduce excessive vibrations, the shocks help improve durability of the auxiliary axles and the complete vehicle. They also help prevent uncontrolled axle hop and increase auxiliary axle tire life, cutting tire costs for customers. The smoother operation also reduces vibration transferred to the cab to improve driver comfort. 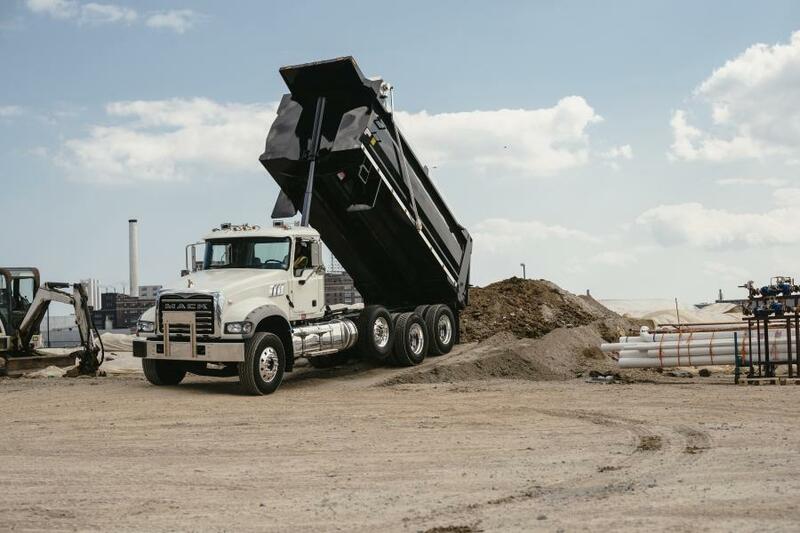 "Mack's factory-installed auxiliary axle options offer an integrated solution that improves lead time to customers who need to meet stringent bridge laws," said Tim Wrinkle, Mack Trucks construction product manager. "And now, with standard shock absorbers, we're lowering those customers' total cost of ownership, while improving the everyday comfort of their drivers." Mack factory-installed auxiliary axles are tested and validated to Mack standards and feature Huck Bolt installation for added durability. The auxiliary axles are factory aligned and their operation is fully integrated. In addition to laser-engraved axle up/down switches on the dash, operation of the axle is preprogramed to raise when reverse is selected and during key-off. Mack's factory-installed auxiliary axles with standard shock absorbers are available on Mack Granite axle forward and axle back models.